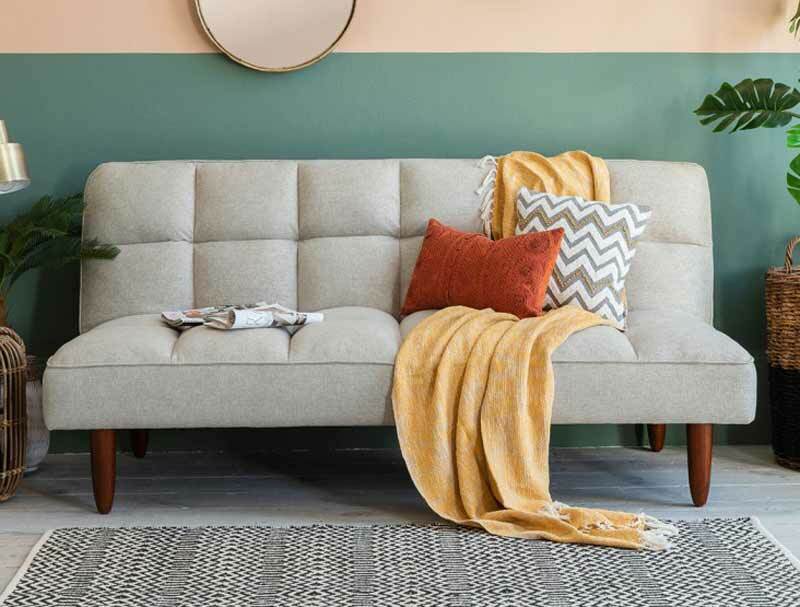 The Oslo from Gallery is a super quality futon style sofa bed from Gallery direct that is in stock for delivery in 10-14 days, direct from Gallery to the room of your choice. 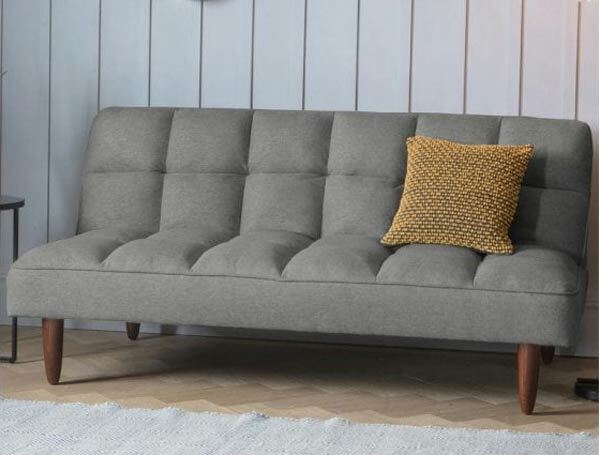 The Oslo comes with a quilted square padded design with wooden tapered feet and operates with a clic-clac opening and closing system. 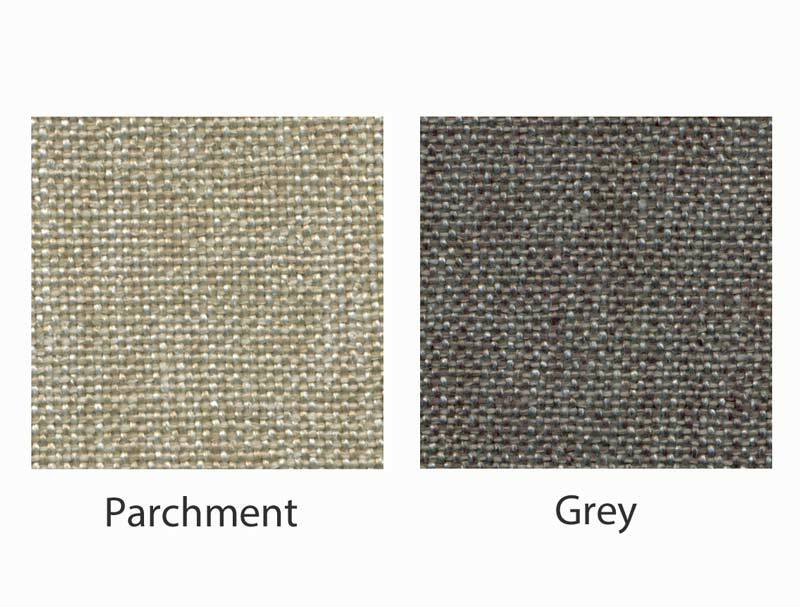 It is available in Parchment or Grey linen style fabric and looks and feels very good. The sleeping area when flat is roughly the size of a small double bed.